Architecture for the Ages | Williamson Williamson Inc.
“Young adults are getting squeezed out of the housing market. Their parents, meanwhile, want to downsize without leaving familiar neighbourhoods. 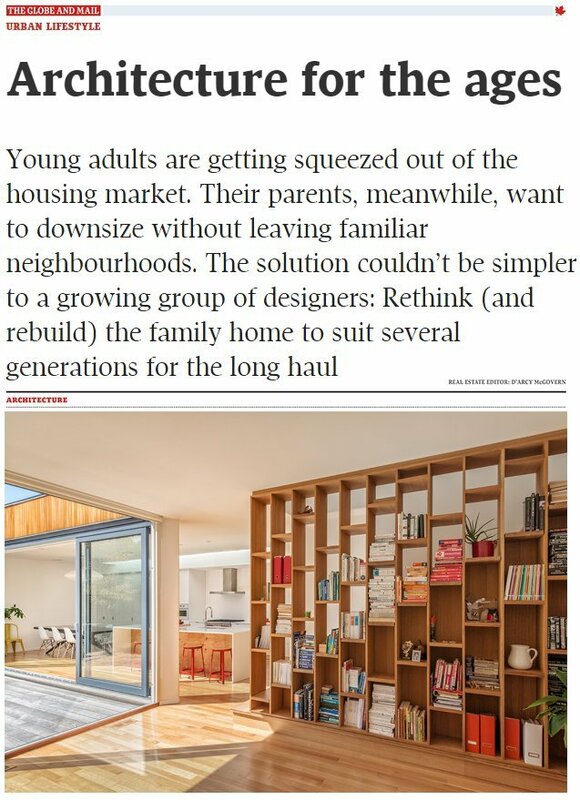 The solution couldn’t be simpler to a growing group of designers: Rethink (and rebuild) the family home to suit several generations for the long haul. Alex Bozikovic investigates the growing trend of multigenerational homes in Toronto in his latest Globe and Mail article seen here.